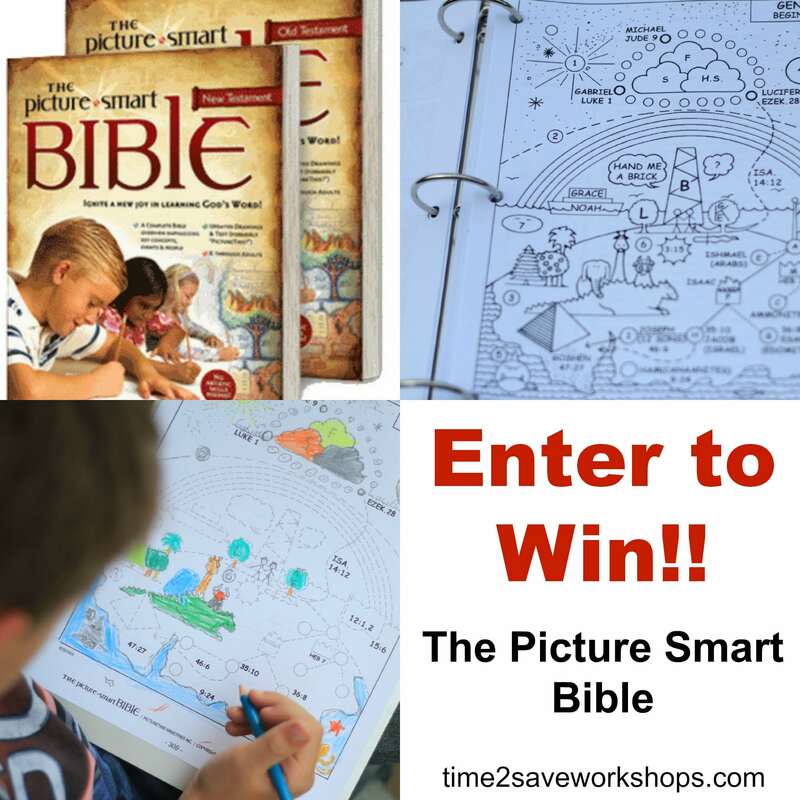 The Picture Smart Bible Review & Giveaway! I couldn’t wait to get my copy that he provided in the mail for my review. This has been a crazy month with the book release, otherwise I would have posted sooner. My kids have absolutely LOVED The Picture Smart Bible. 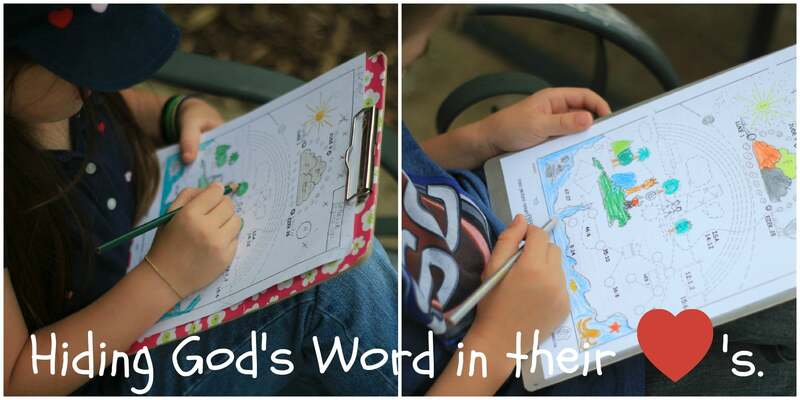 Every day, they ask, “Mom, are we going to do The Picture Smart Bible today.” I have really enjoyed working on it with them as well, seeing their hearts hungry for God’s word makes this Momma smile. My children are 6 and 9, and although they are on different academic levels I didn’t have any trouble teaching them both together. 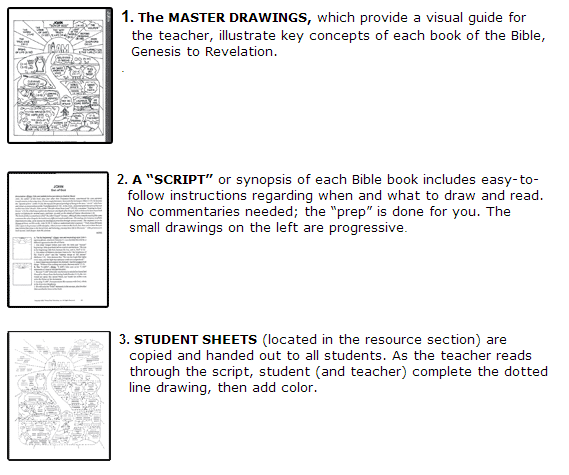 The basic concept is to learn themes of the bible through drawing and coloring. The curriculum includes master coloring sheets for younger children and master drawing sheets for older children. Since the weather has been so nice, we’ve been going outside for our bible lesson. 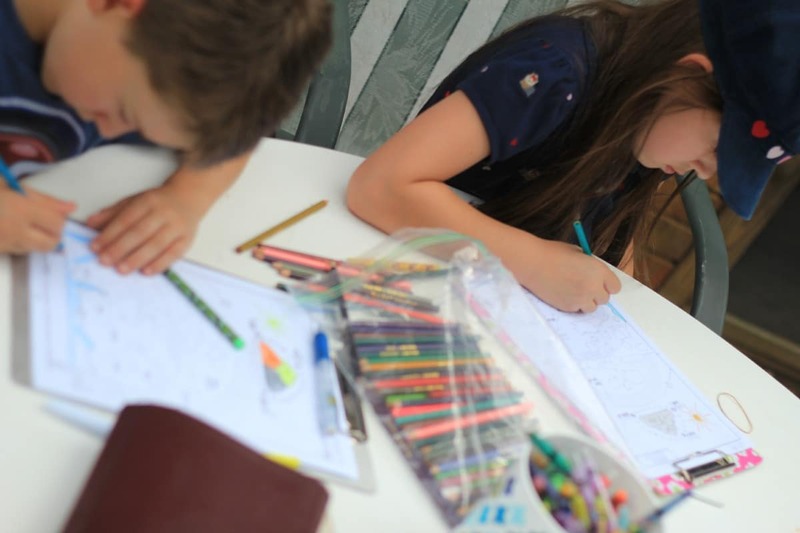 For the kids, we grab clipboards for their drawing pages, colored pencils and crayons. 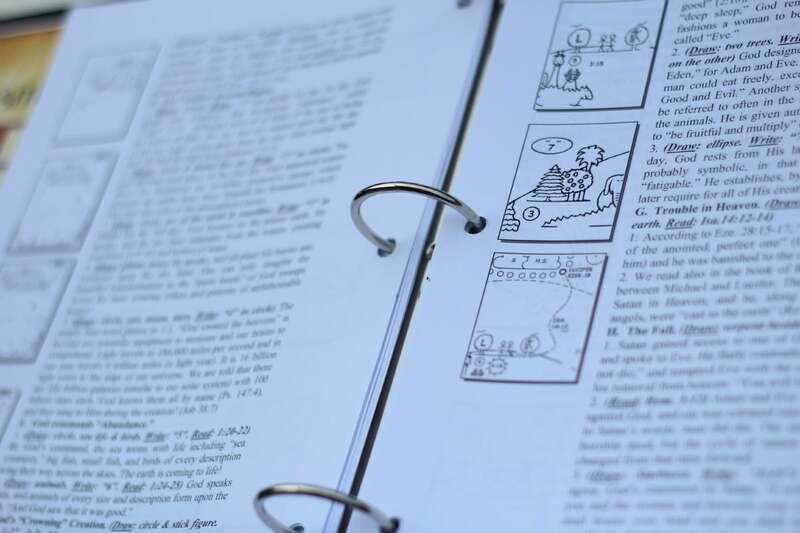 For myself, my Bible, the teacher pages with the master drawing sheets, a small white board, and an eraser. My 6 yr old wants to do everything his older sister does, so I write down any words he needs to include on his student page on the white board to make it easier for him. I usually break each lesson down into several days, as the goal is hiding the word in their heart not just getting through each lesson. I never want it to be a “chore” or a task they dread. Hiding God’s word in their heart and teaching them about God is so important to me. If I’m being honest, I haven’t been as intentional as I should. Instead, I’ve gone back and forth through many different resources leaving me feeling overwhelmed. So thankful to have finally found something that works for my family, and my children enjoy. So, how does The Picture Smart Bible Work? Based on “see, hear, do” methodology which TPSB incorporates, while you read a lesson your children are coloring or outlining a drawing of the major concepts of the lesson. Mommas, it’s so easy. Everything is outlined for you even supporting scriptures to read while your children color. I would suggest using the master drawing as coloring sheets for younger children while the older children use the student sheets. Make sure to hop over and like their facebook page, and Pinterest boards with various bible lessons, crafts and resources. I am all about supporting businesses that create resources that help me teach my children God’s word. 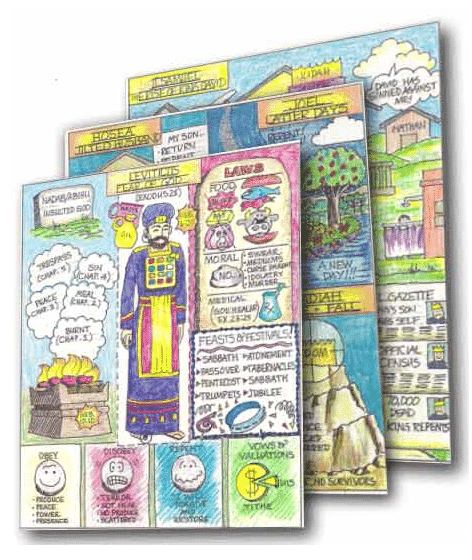 You can even download two sample lessons – Daniel & John. Plus, enter to win a copy of the complete curriculum on CD!! Follow the directions below to enter to win a copy of The Picture Smart Bible complete curriculum on CD. « When I’m Tired of Doing Laundry….Again….I Remind Myself of this….